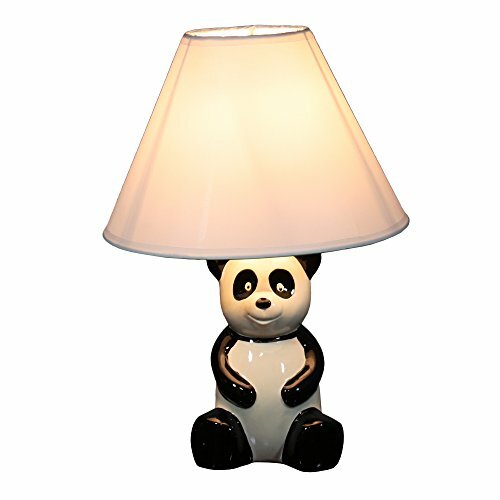 Ore International 628WH 14"H Panda Kid's Lamp: Brighten up any room with this adorable 14"H Panda table lamp. A statement piece that will add instant style to your home decor. Plump Black & white panda bear makes a cute kids room lamp. It's a table lamp that provides a soft, comforting glow at night. A crisp white uno fitter bell tops this playful side table lamp.